Meat substitutes have been around for decades, and they've come a long way since their humble beginnings. While "cardboard" used to be a common descriptor for the taste of packaged meat imitators, products on the market today are far more effective at mimicking meat's taste and texture while still providing excellent nutrition for vegetarians and vegans. 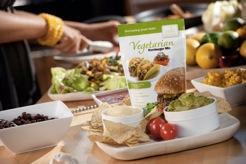 Harmony Valley is one company that has recently rolled out a new vegan meat substitute that it terms "vegetarian mix." The product comes in two varieties: hamburger and breakfast sausage. Both are soy-based and free of dairy ingredients. 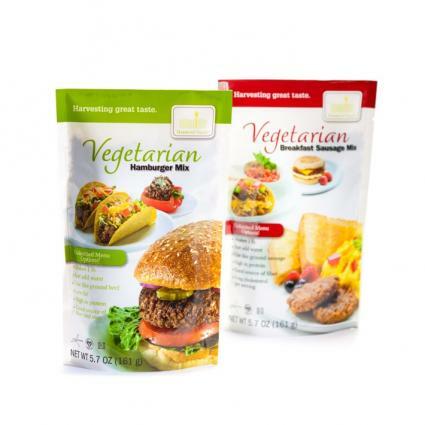 Unlike many meat imitations, Harmony Valley's vegetarian mixes don't require refrigeration because they are dry and shelf-stable. To prepare either mix, you need to combine a set amount with water, set the result in the refrigerator for 15 to 20 minutes, and then cook the product until it reaches a temperature of at least 160 degrees Fahrenheit. You can then use the cooked mix in any way you like. Both the breakfast sausage mix and the hamburger mix from Harmony Valley are entirely vegan, but they do contain potential allergens of wheat and soy. The primary ingredients in both mixes are soy flour, soy protein concentrate, vegetable oil, wheat gluten, and soy protein isolate. 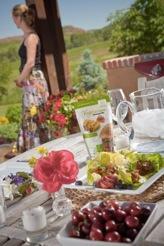 Both mixes have light spicing, so they taste good with no additions. The spicing is subtle enough that you can easily tweak it to your liking with other flavors. The texture of the "meat" is very versatile. Once you've rehydrated it, it's simple to either form it into a patty or break it up into small pieces for stir-frying. The shelf stability of the products is a huge plus, since it makes them convenient to transport and store in any type of conditions for long periods of time. Although the prepared mixes aren't as high in protein as real meat, they offer considerably more protein and fiber than many alternatives. Even after frying the "meat" to a crisp, it became soggy and fell apart when added to a salad with moist, fresh greens and tomatoes. While the prepared mixes have a fairly appealing taste and texture right after they're made, they're not as great left over. On the following day, the breakfast sausage mix tasted floury and seemed thicker and stickier. Waiting for the mixes to reconstitute in the fridge and then having to cook them can cut into meal preparation time. Both mixes are high in sodium. A 2-oz. portion of the prepared breakfast sausage mix meets almost 20 percent of an adult's recommended daily allowance for sodium, and a 3-oz. portion of the hamburger mix meets 15 percent. Interested in trying Harmony Valley's mixes? Although they are available in some large grocery stores, you're most likely to find them at health food markets or co-ops. Look in the dry goods section near pasta and packaged grains. You can also buy the products online; since they're shelf-stable, you don't have to worry about refrigeration or proper packaging en route.